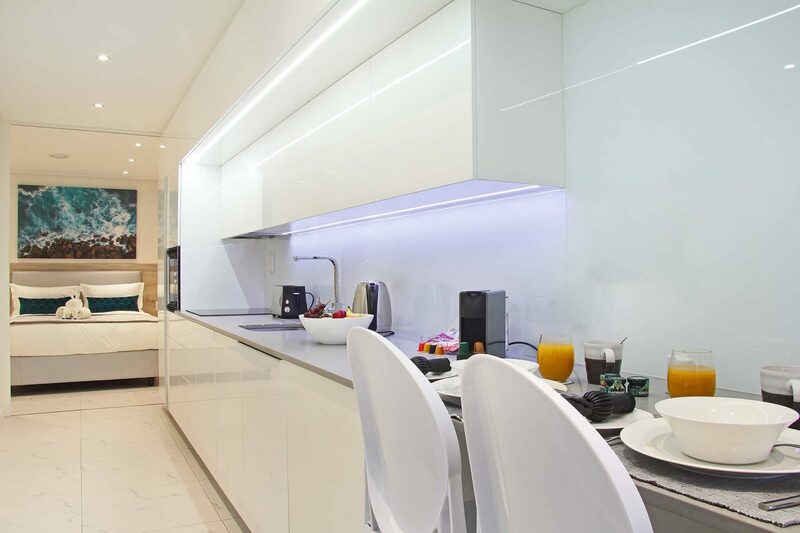 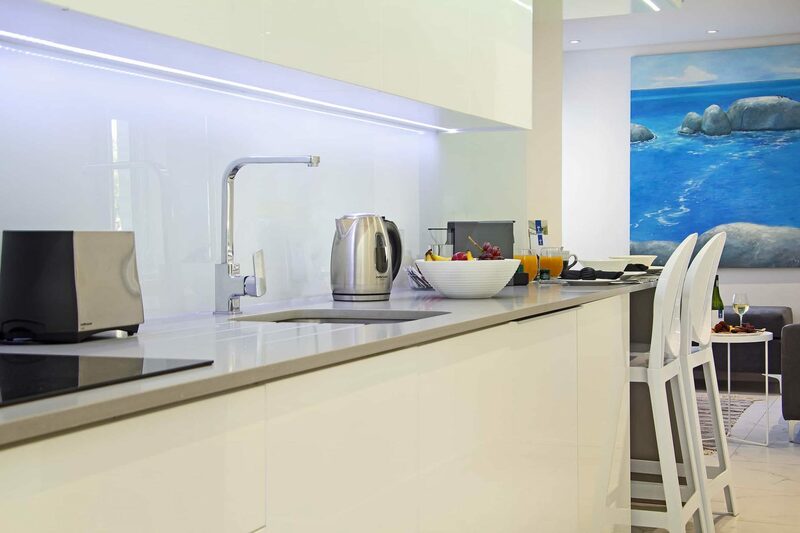 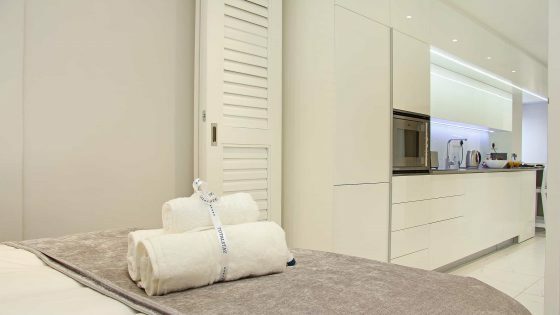 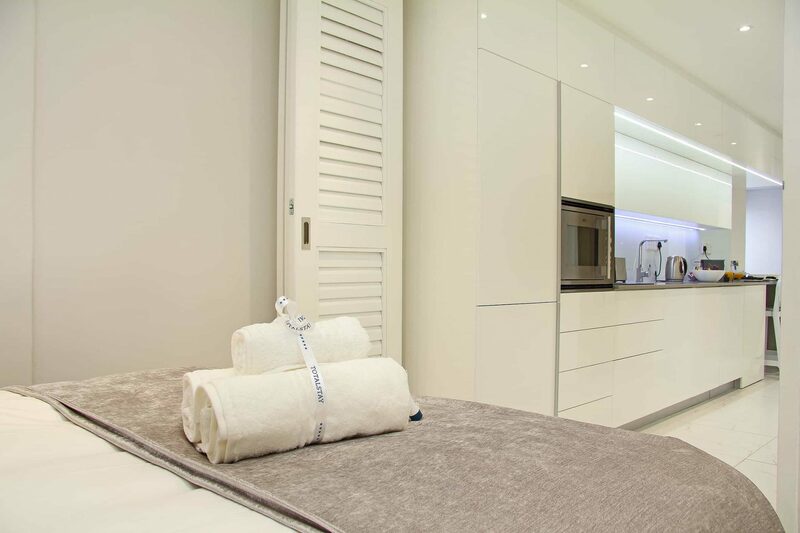 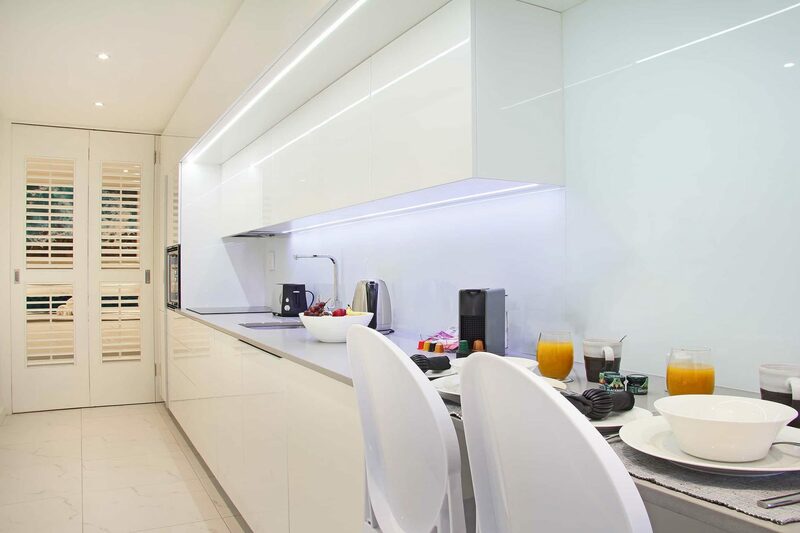 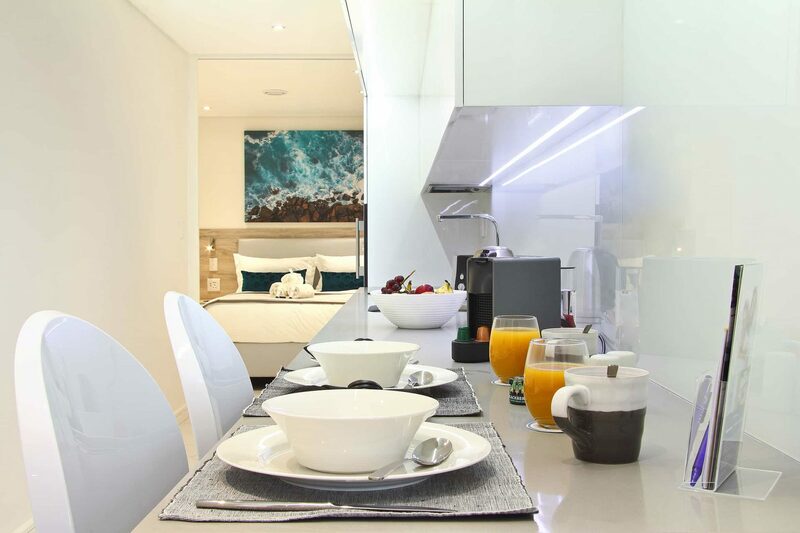 The ground-floor studio apartment is spacious and light with open-plan, free-flowing living spaces. 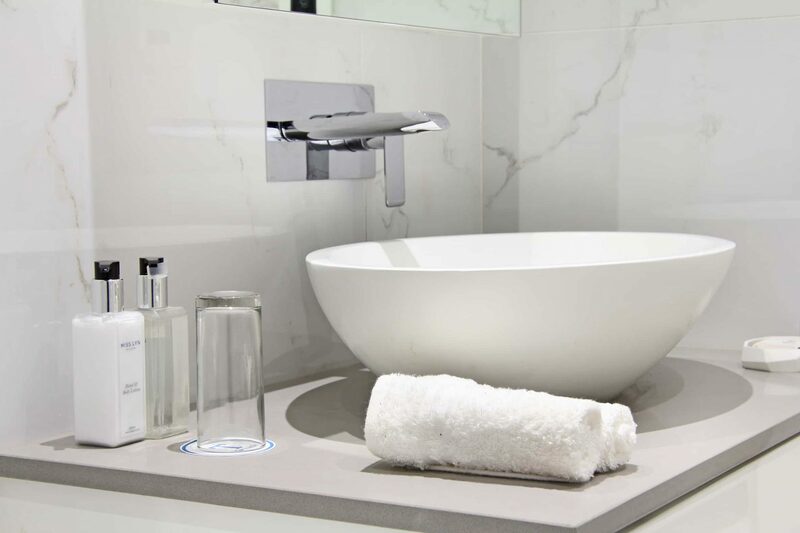 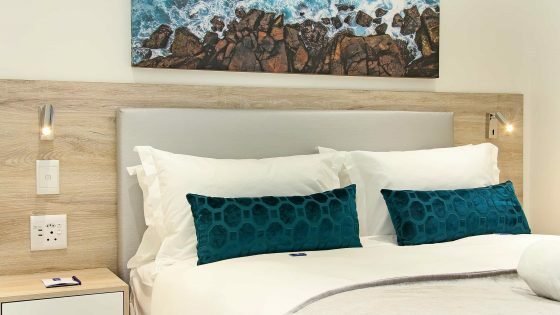 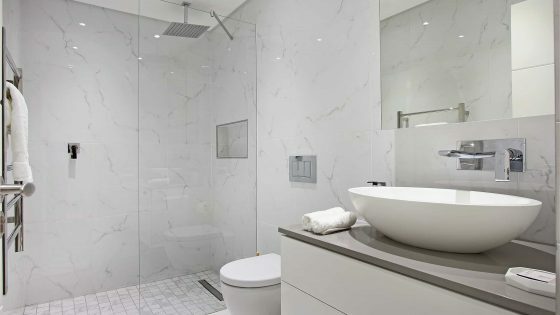 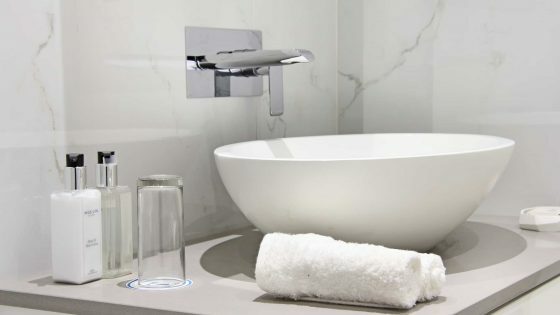 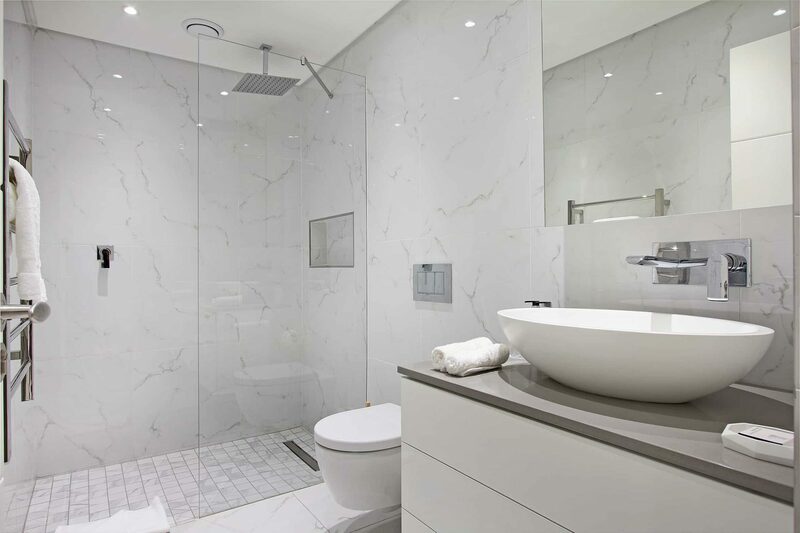 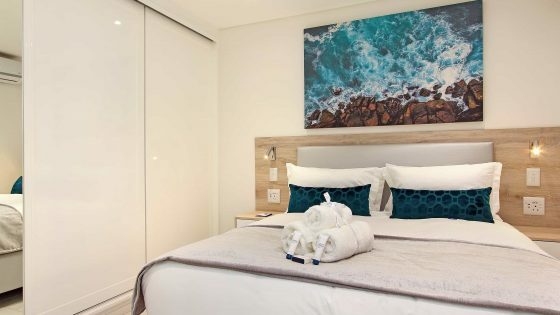 A single bedroom has air-conditioning, ample cupboard space, and a queen-size bed in premium linens and a private bathroom offers a glass-enclosed walk-in shower, oval basin, and sleek chrome finishes. 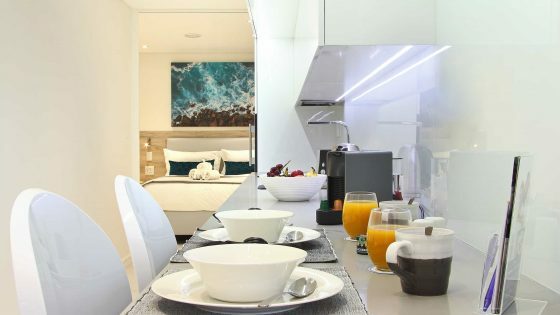 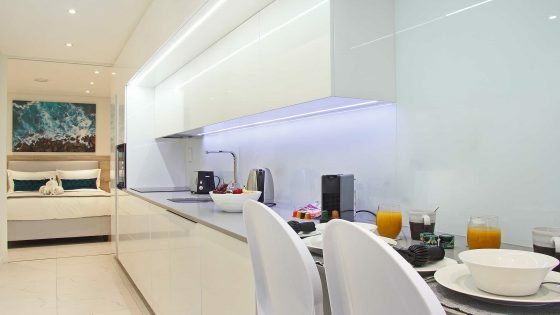 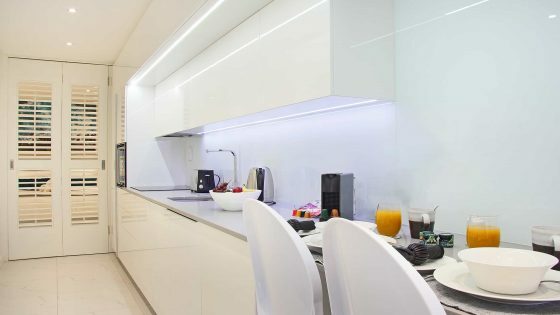 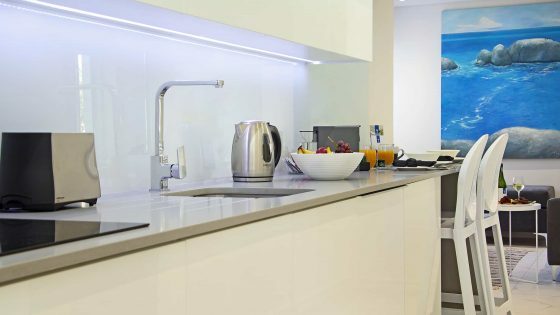 The studio features an open-plan kitchen with a sleek breakfast counter and modern appliances, including a hob, convection oven, dishwasher, and combo washer/dryer, and the lounge has a comfortable sofa, ottoman, and wall-mounted flat-screen television with satellite channels. 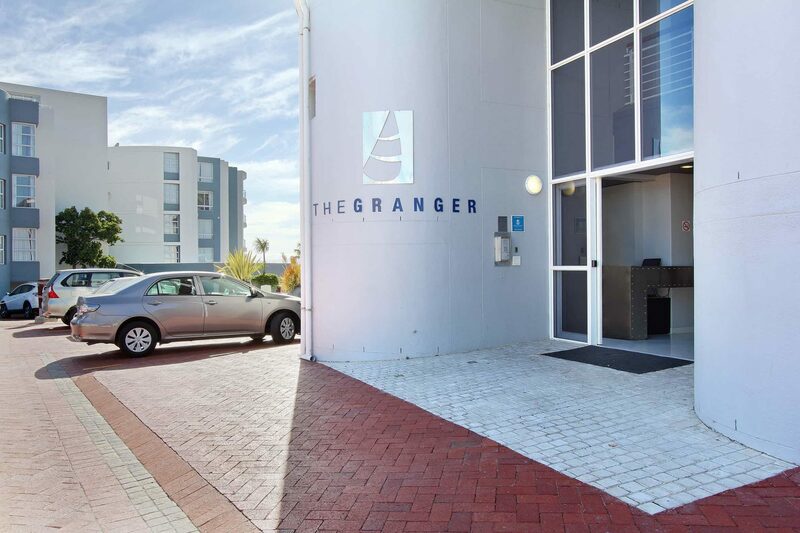 The apartment has a dedicated parking bay, and there is plenty of secure visitor’s parking within the complex. 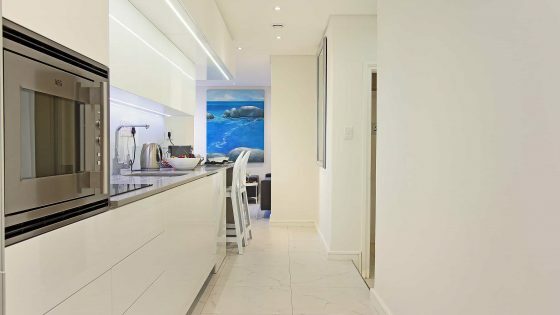 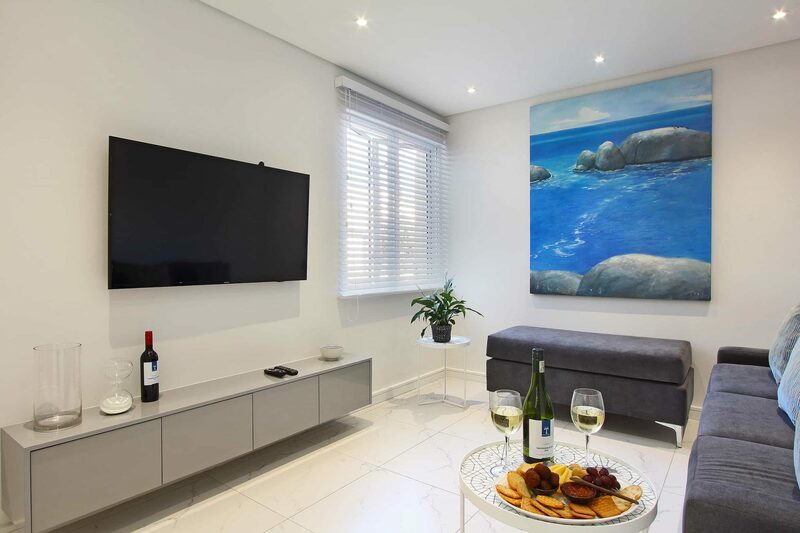 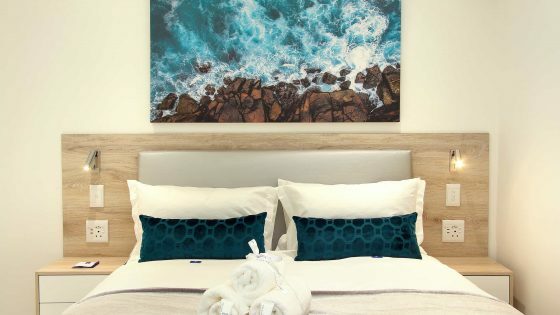 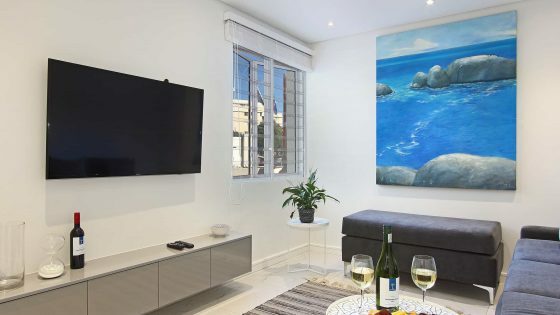 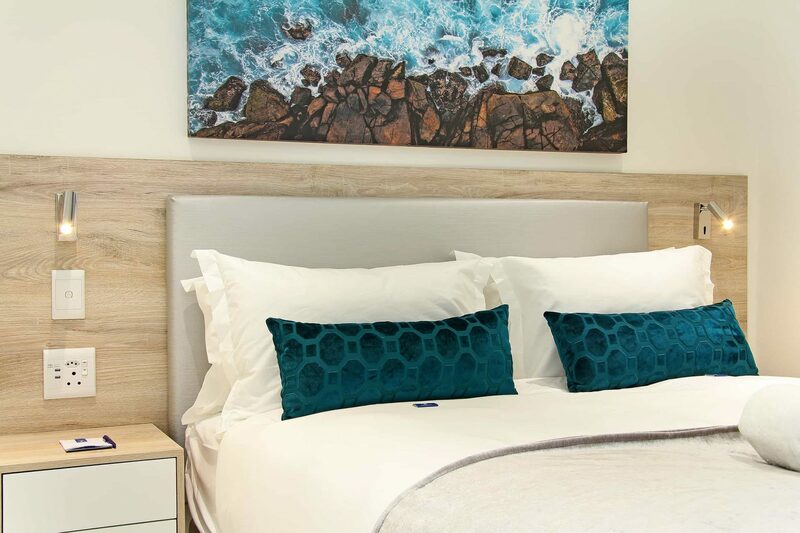 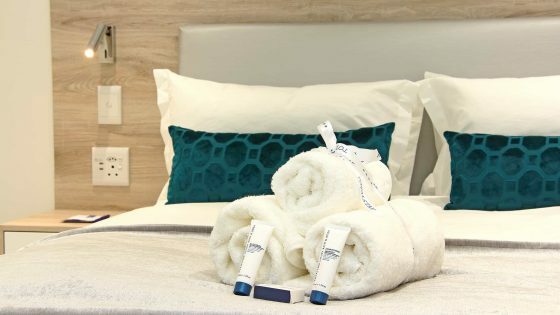 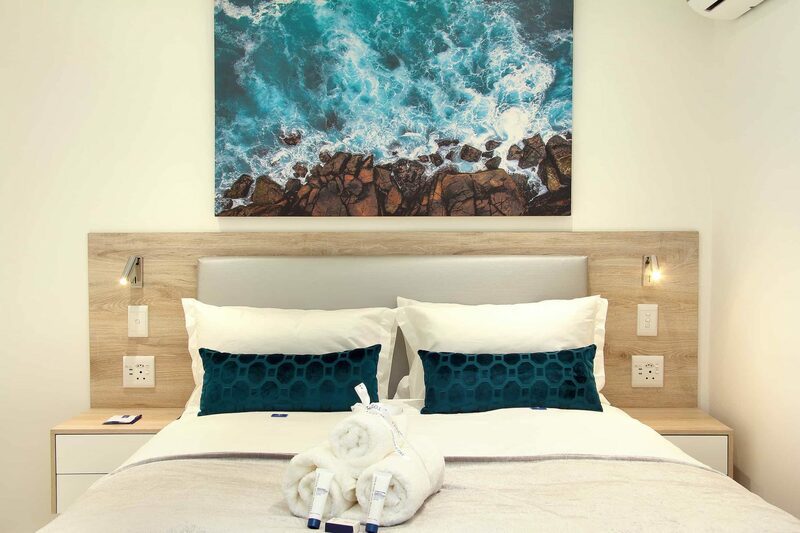 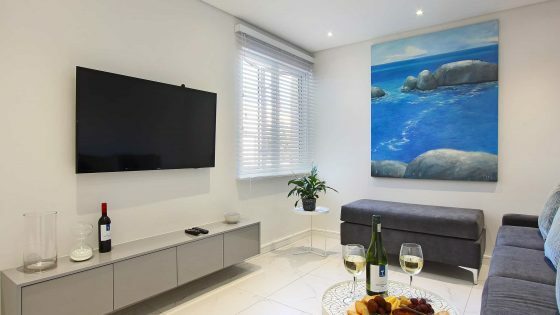 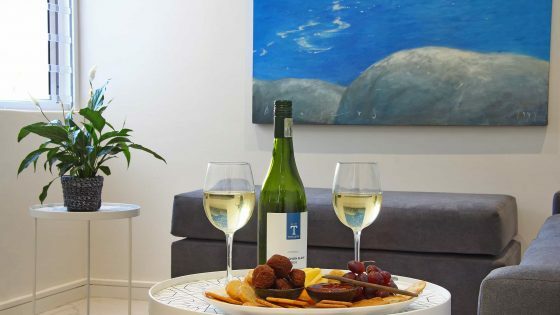 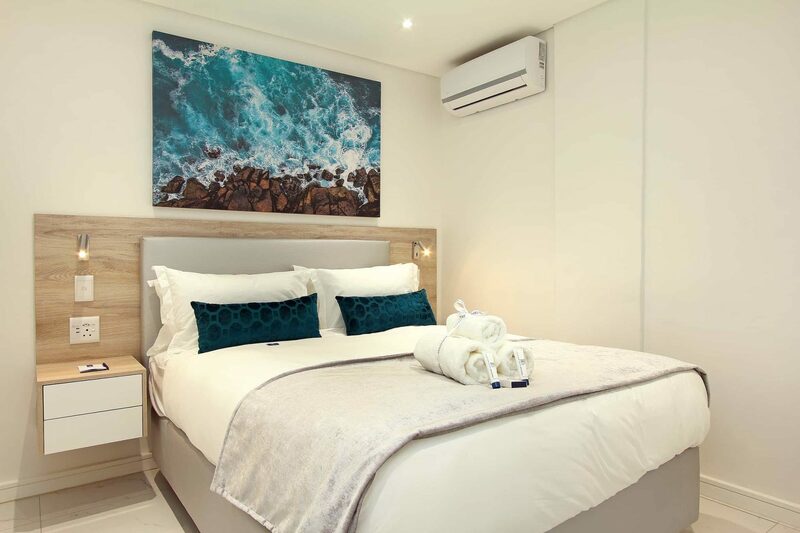 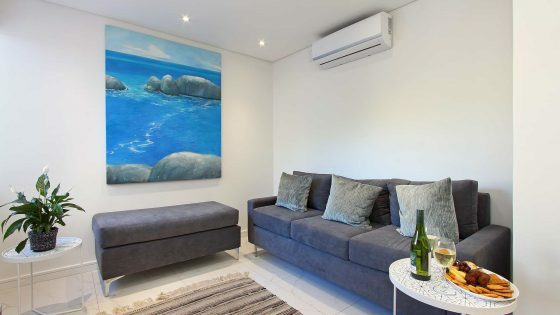 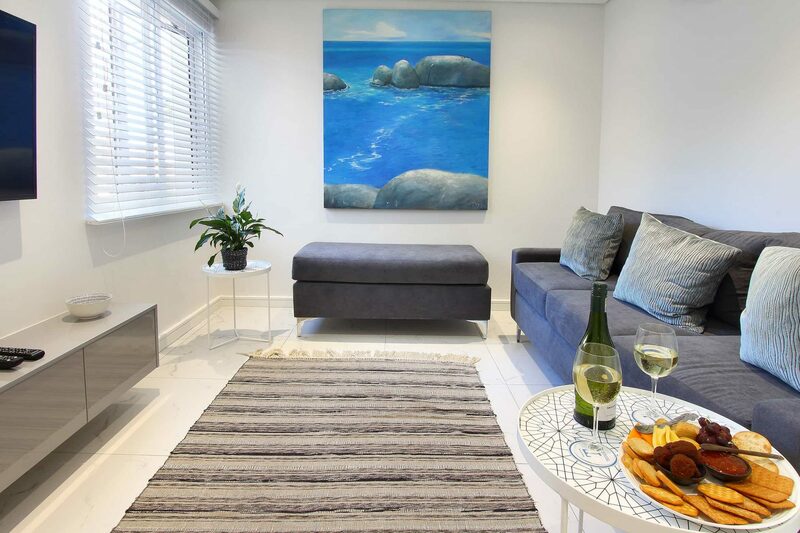 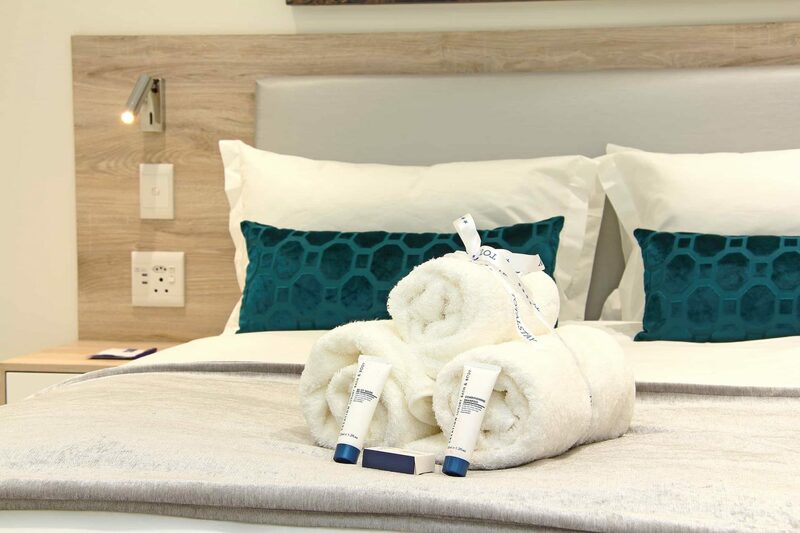 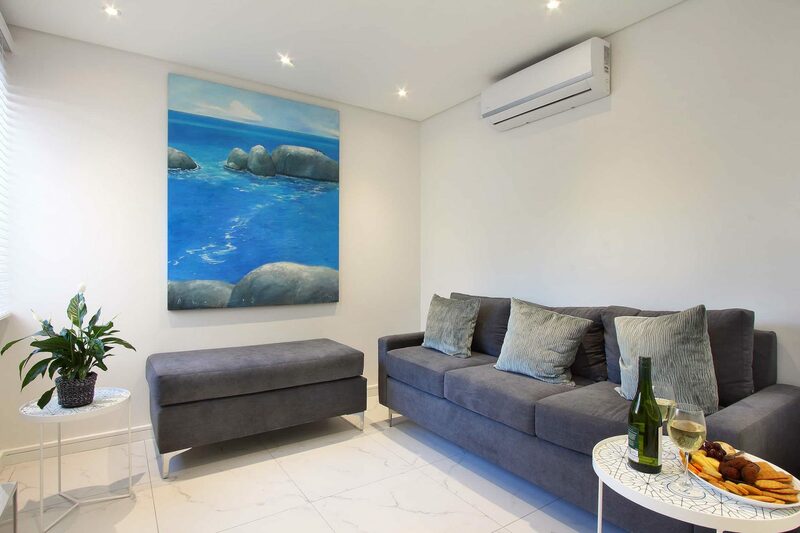 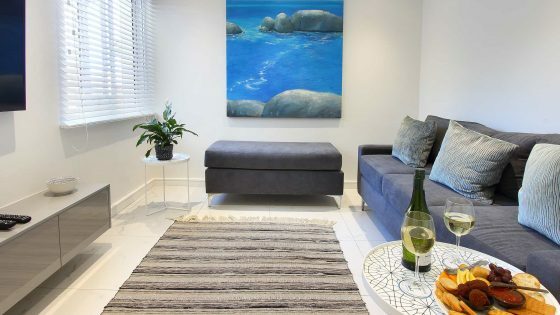 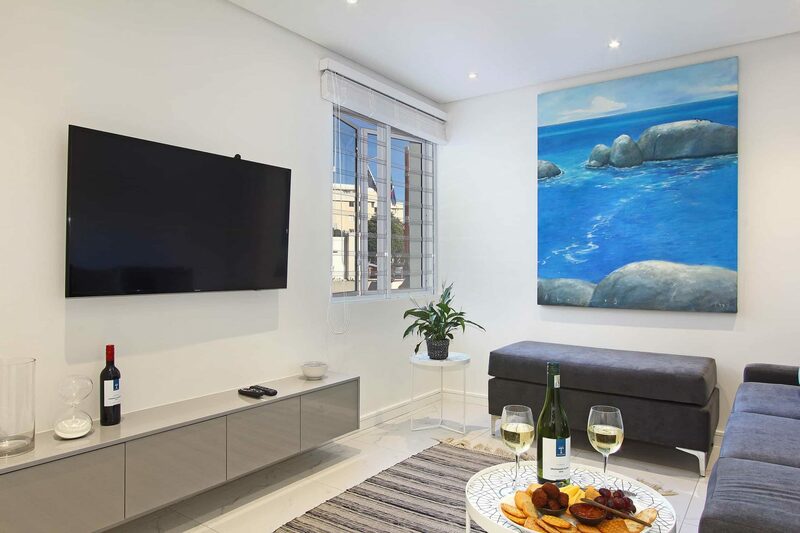 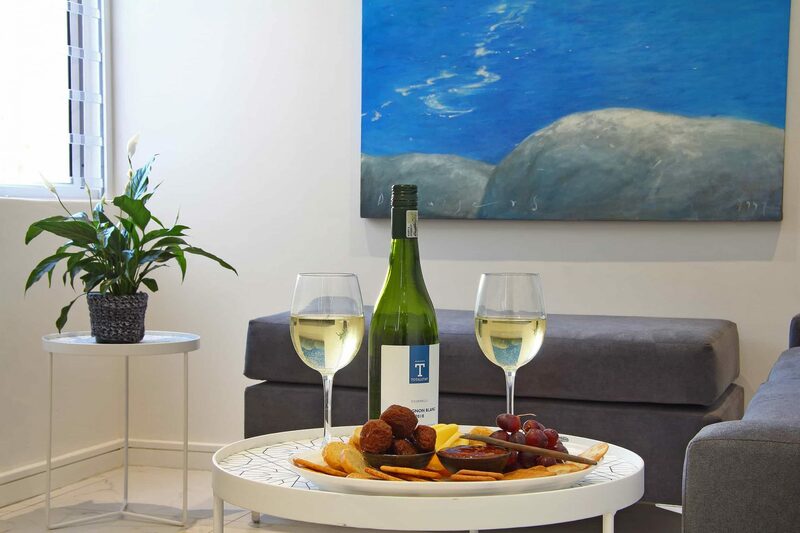 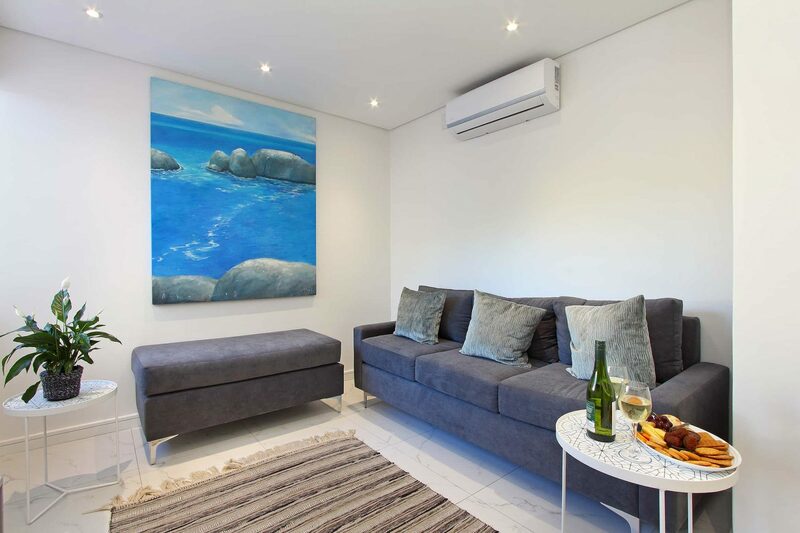 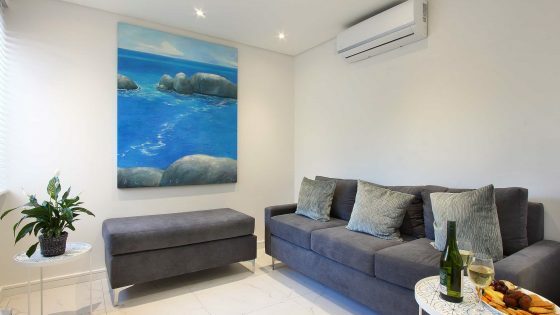 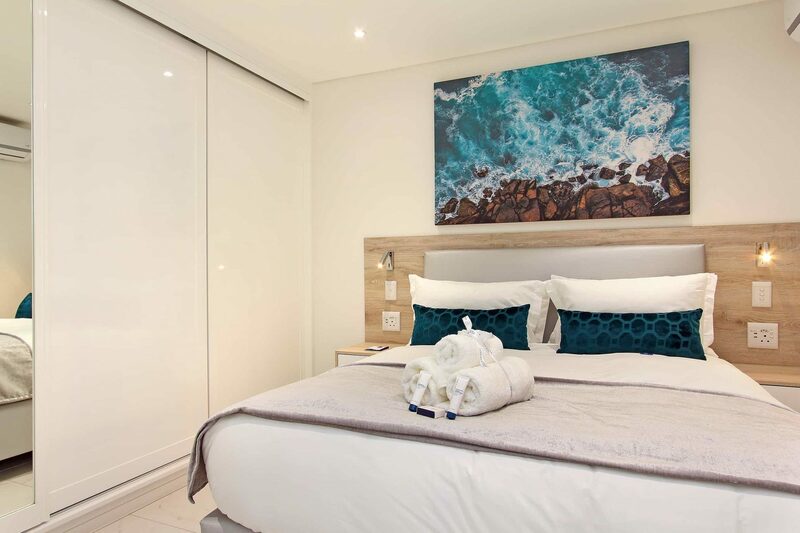 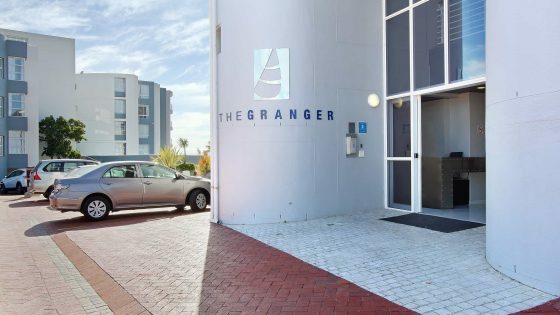 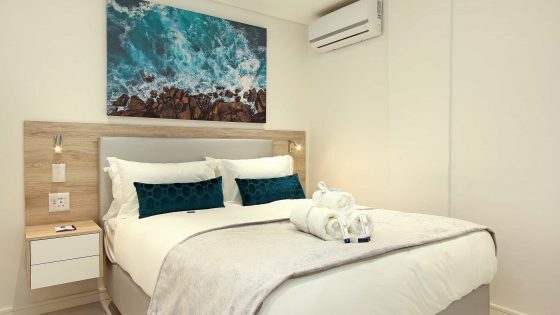 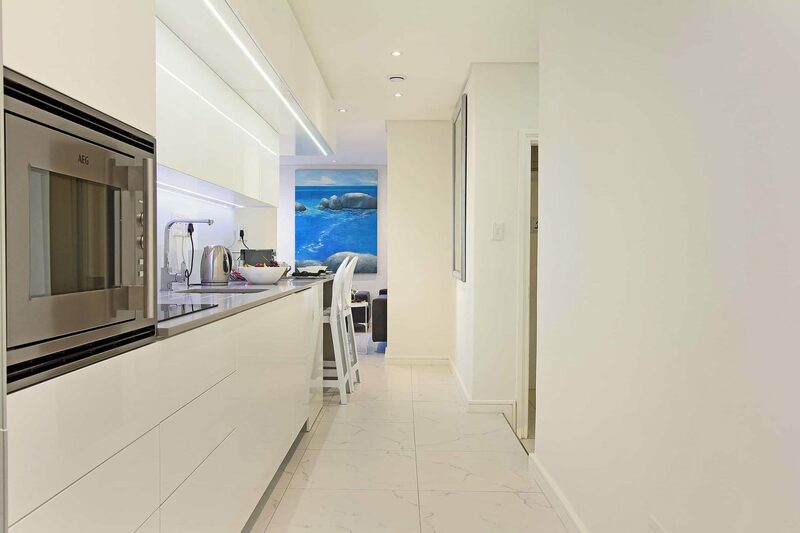 Situated within a few minutes’ walk from the world-renowned V&A Waterfront, The Granger is ideally located to experience all of the city’s main attractions or simply kick back in style.